Mis Fitters meet Jacquelyn from Action Jacquelyn. I came across Jacquelyn a couple years ago on YouTube and I loved her Yoga and Barre workouts. 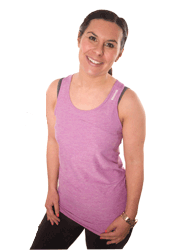 Even as an instructor, you look for inspiration for your own workouts and so I do a lot of Jacquelyn’s yoga and Barre workouts and I love her mediations too. There is a quote – “I bend so I don’t break “. It is so true – For me practicing Pilates and Yoga helps me find balance in my life . When I was juggling two jobs and felt overwhelmed with a huge to do list , even though there were times when I felt I just did not have time to stop – I knew that by hitting the pause button and stepping on to my mat and getting in a Pilates or yoga workout would help me catch my breath and give me a sense of calm again. Now I teach classes full time – which I absolutely love , but being full time self employed is a little scary too . 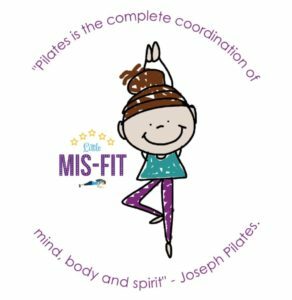 I continue with ,my Pilates and Yoga workouts as I find its a good balance for my body and Mind and actually help keep me stronger for HIIT style workouts . I am currently working with a lovely bunch of teenagers who are preparing for their GCSE’s . We are doing a mix of Yoga, Pilates and Breath work. Exams can be incredibly stressful and so by teaching the students breathing exercises , it can help them to find a little calm and hopefully ease feelings of anxiety and overwhelm. As adults , we can also face anxiety and overwhelm as we face various challenges on our journey through life. Life these days is so fast paced and its so easy to get caught up in worrying about what is going to happen or what could happen, that we forget to press the pause button and just be present in our life now. Jacquelyn was a ballerina who went on to become a Laker girl. She has been teaching fitness classes now for the past 10 years. So on my trip to Shanghai, China 6 years ago, I had my first and last panic attack. It was scary. I had never had anxiety or panic attacks prior to that, so I didn’t know what was going on. After I got home from that two week trip, I was suffering from constant and absolutely unbearable anxiety. Panic Attacks are scary. I don’t wish them upon anyone. Once I got home from my trip to China, I was THIS CLOSE to living on anti-anxiety medication… but I promised myself it wouldn’t be my way of life. I had a panic attack because I was so anxious about figuring everything out in my life at that very moment, controlling the outcome as best I could, without really knowing how, that I drove myself into severe anxiety. I was focused on the future, not the present moment. But blaming others means you’re avoiding a difficult truth… about yourself. Later that day, I knew I was meant to be in that class at that very moment. She gave me the wake up call I needed to hear to reclaim my power back, to remind me that I am the one choosing to feel certain ways in my life. I first stepped into yoga wanting to learn how to do handstands and all the cool poses, and then what made me stay was the peace of mind, empowerment, self-esteem, and the faith and trust in myself that I cultivated through the mindfulness of stretching and meditating. After this experience I knew I wanted to be a yoga teacher. And now, every class you ever take from me, I remind you of the choices you have in your life. To hopefully touch you the way that yoga teacher empowered me. It’s these mindful conversations you have with yourself, and the people you surround yourself with, that makes the difference between unraveling out of control and living the life of your dreams. And now I have ZERO anxiety. My purpose here is to remind you that you get to reclaim your power, that you get to unbury your joy and happiness, to remind you to not blame but rather look within for YOUR truth, every time you step onto your mat. *** Seriously, if I could completely break free from anxiety, as a former skeptic, realist, controller, panic-attack-about-to-happen at any moment type person, YOU can too! I totally get it! This is why I’m SOOOO passionate about what I do here, in sharing powerful breathing techniques with you, and cultivating daily stretching routines for personal awareness and pain relief.